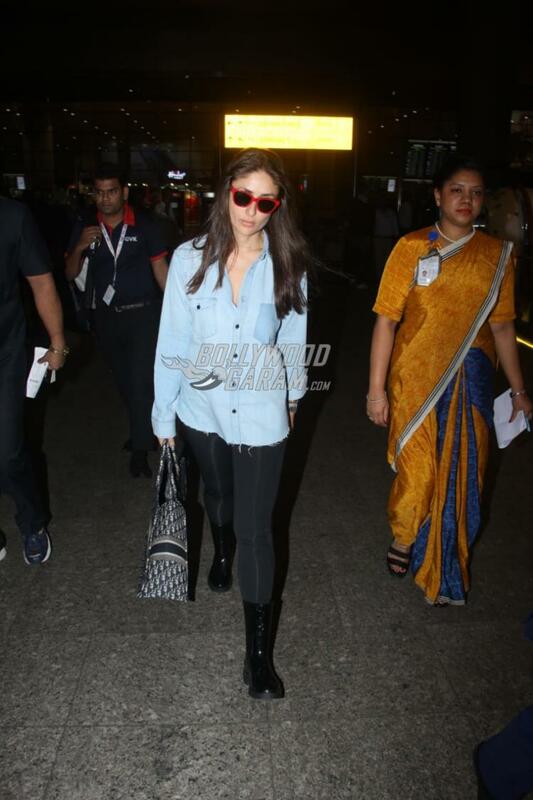 Kareena Kapoor was at Dubai to attend the Masala Awards 2018. 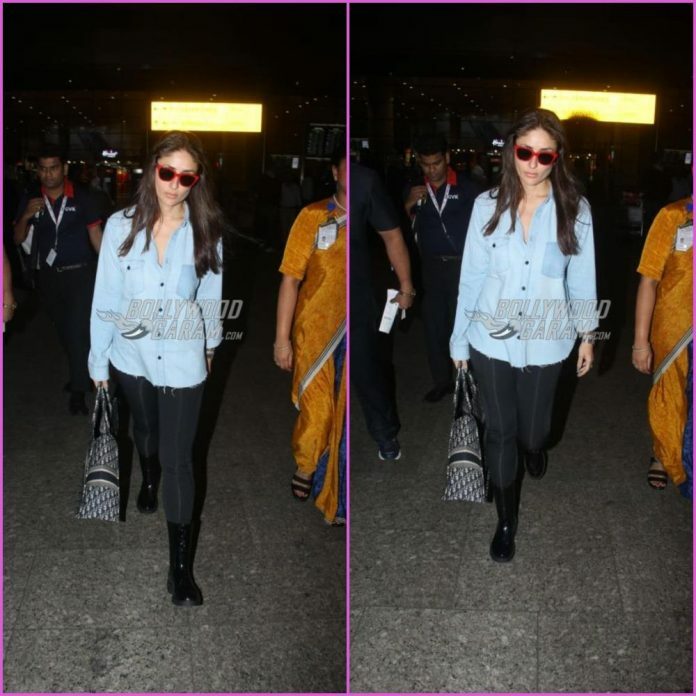 The Udta Punjab actress was snapped at the Mumbai airport on December 5, 2018. 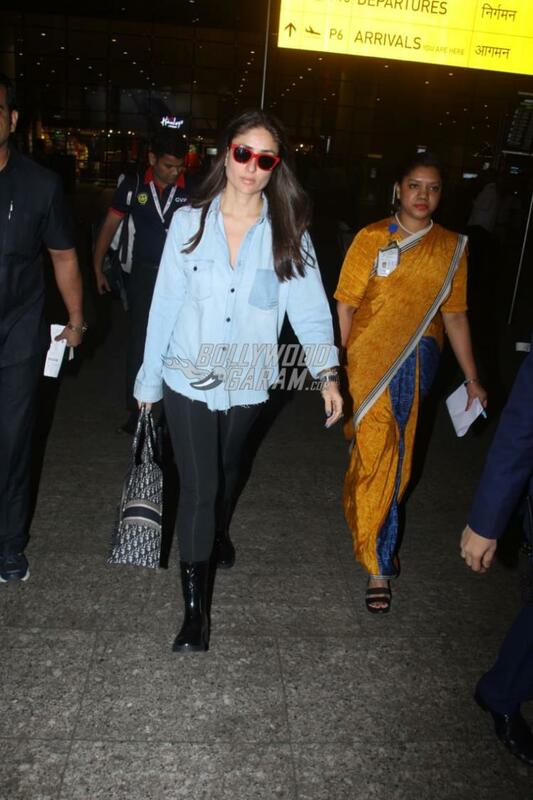 Kareena returned from Dubai after attending the award ceremony and rocked her casual denim look. 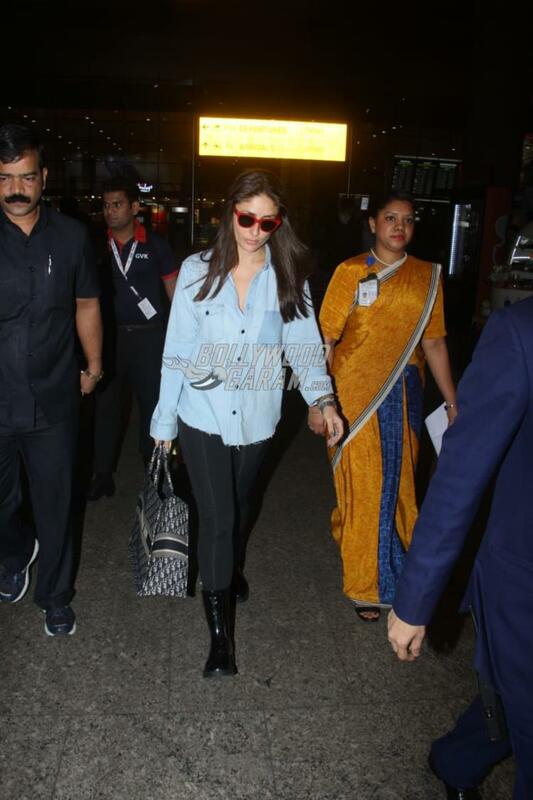 The Jab We Met actress sported a stylish denim shirt with black pants and black boots as she made her way out of the airport while carrying a stylish bag. Kareena at the awards function was honoured with the Asian Icon of the Year award. The actress not just won the award but also turned showstopper for the Middle-East based fashion designer Faraz Manan. 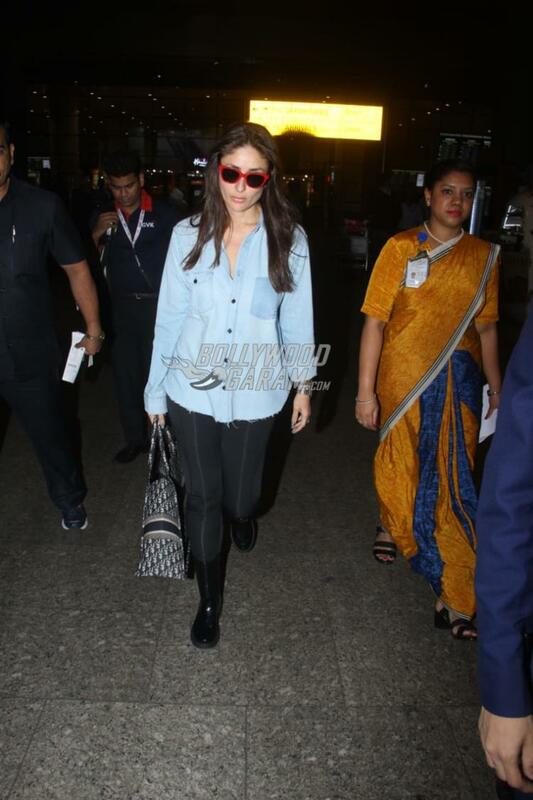 As always Kareena acknowledged the cameras at the airport. On the work front, Kareena is in no mood for rest and has signed two films of big banners. The actress will soon begin shooting for Good News opposite Akshay Kumar and will also star Diljit Dosanjh and Kiara Advani. Kareena has also signed on the dotted lines for the film Takht which will be a directorial by Karan Johar.